After being forgotten for nearly 105 years, an old marquee sign with historical significance was unveiled on January 17, 2019 at The Grand, a boutique bowling alley located on Main Street in downtown Columbia. The revealing of the sign marked the establishment’s one-year anniversary celebration and showcased the efforts being made by The Grand in preserving Columbia’s history. 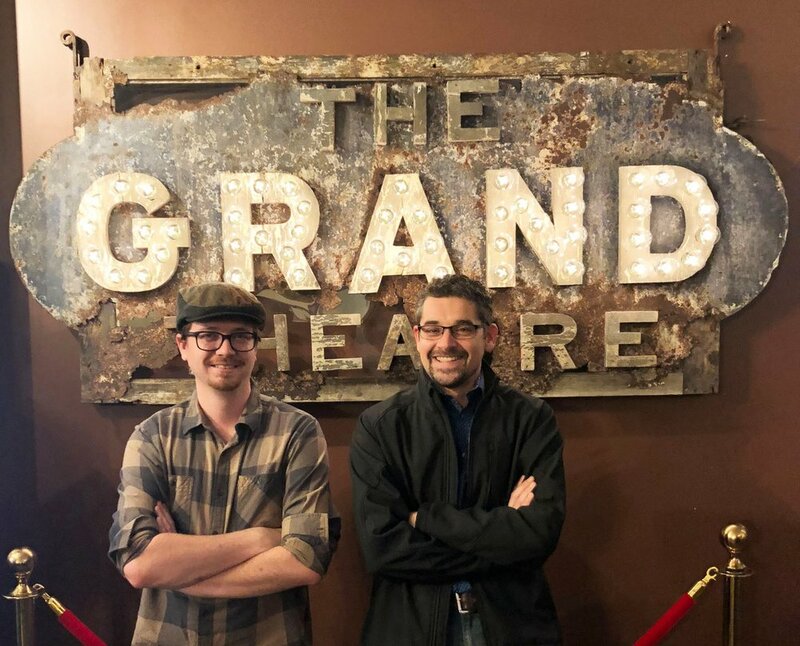 The Grand, which has become a local go-to venue for entertainment, was originally a Vaudeville House and theatre that operated until 1914. It is one of the oldest remaining structures on Main Street and was originally built in 1866. During demolition for reconstruction in 2017, the original theatre signage was discovered in the building’s basement. After developers unearthed the sign, Carolina Conservation was brought on to stabilize and prepare it to be redisplayed at its former home in the Robinson Building. We were immediately eager to take on the project and play a part in preserving our hometown’s history. This would be no run-of-the-mill conservation endeavor. The new owners of the property wanted the sign to retain its distressed character, while being functional and illuminated as it was in the early 1900s. The client’s desire to present the finished project as a mix of past and present offered a unique challenge that excited our conservation team. In order to restore the sign, much of the structurally unsound and otherwise compromised materials were removed during the complete disassembly of the sign. Where possible, original elements of the sign, including the sheet metal, lettering and hardware were reused. Some replacement components were fabricated using donor materials, including a bag of debris-filled dirt provided from the discovery site. We had the privilege of consulting with conservators from the H.L. Hunley submarine project in Charleston, who helped us develop a plan for the stabilization of the severely rusted sheet metal and wrought iron components. The newer materials used were synthetically aged and distressed to match the condition of the original elements. 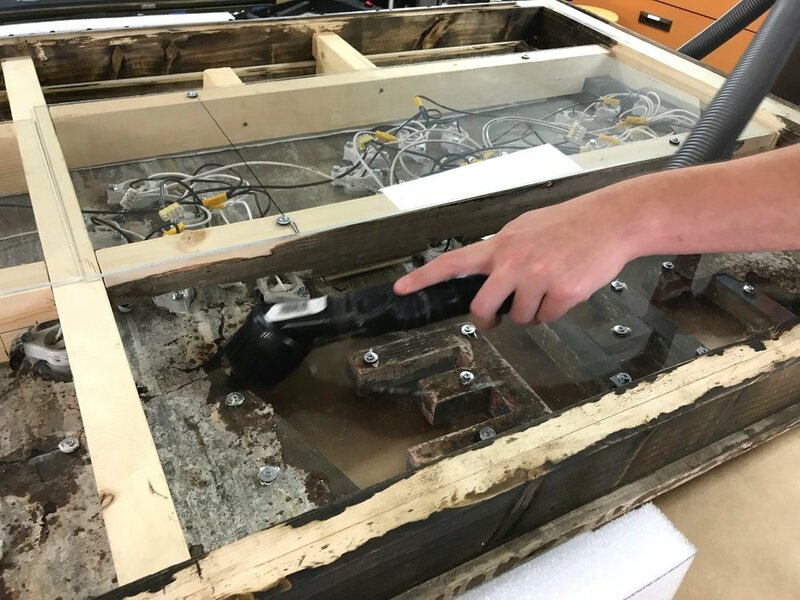 Additionally, our conservators installed new wiring with vintage-style filament light bulbs in order to safely display the sign and ensure that it will function as it did nearly 100 years ago. As with all conservation treatments, maintaining the item’s integrity was of utmost importance. We wanted to ensure that The Grand’s sign was stabilized and preserved for future generations to appreciate and that the historic and cultural value would be maintained. In the event that future conservation should take place, unused components, including the debris from the bag of dirt, have been catalogued and returned along with the finished sign. Carolina Conservation was honored to help The Grand preserve part of its original history and create a piece that’s emblematic of the establishment in which it is now housed.